We are often asked, what exactly does Moffat County United Way do? The simplest way to answer that question is – we help people. That is our one single goal. We help people of all ages and from all walks of life. We focus on health, education and financial stability – the three building blocks to a good quality of life. How do we help so many people with so many needs? We partner with over 50 local agencies to help 1 in 4 people in our community. Instead of focusing on one simple cause or issue, we focus on multiple issues helping the community as a whole. This way, one donation not only goes to the need that everyone is aware of but also to those that are less obvious but no less important. Help is available whether it is needed to provide a safe, positive place for kids, to provide education and support for low-income families, or to keep a senior at home longer. This level of helping is possible because hundreds of people across our county generously make donations. The beauty is that 100% of the money raised here stays here, in our community. The best part is that local community members make the funding decisions for United Way grants. That’s right, local people volunteer their time to review the local nonprofit organizations in the areas of quality programming, governance, finance, and administration to make sure your donation is used wisely. United Way also helps support the betterment of the community by participating in highway clean up, serving food at the local community kitchen twice a year and thanking our community volunteers at an annual luncheon. In addition, we lead Youth United Way, a leadership experience that teaches high school students the importance of service, philanthropy and the nonprofit sector. We need your help as we raise money this fall. Watch for campaigning at your place of employment, where your employer may provide matching funds thereby doubling your donation. Otherwise, visit www.unitedwaymoffat.org/donate to make your donation right now because United We Can, inspire hope and create opportunities for everyone! Learn more about Moffat County United Way by visiting our website at www.unitedwaymoffat.org and be sure to like our Facebook page at www.facebook.com/unitedwaymoffat. Our Executive Director, Amanda Arnold, can be reached by phone at 970.824.6222 or email using amanda@unitedwaymoffat.org. Campaign 2016 - Invest in Your Community! This place is where we live, it’s where we work, and it’s where we raise our families. This fall, we are asking you to make an investment in this place we call home through a donation to Moffat County United Way. Our campaign goal this year is $450,000. Every dollar raised here, stay here as 100 % of all donations stay in Moffat County to help Moffat County residents. 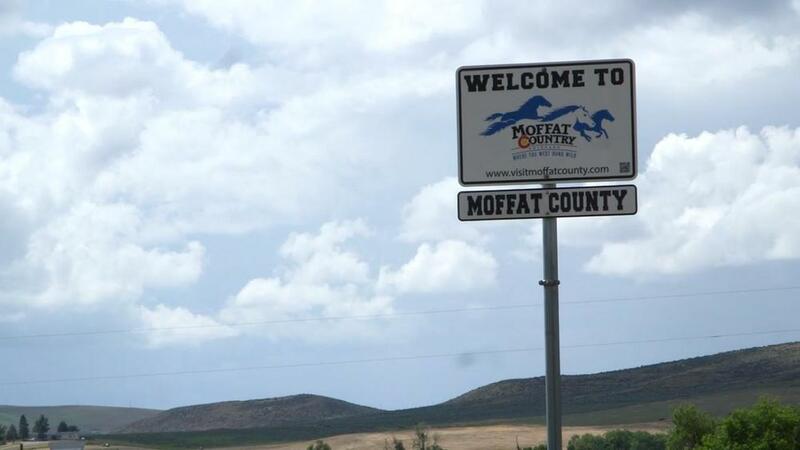 When you donate to Moffat County United Way you are partnering with over 50 agencies to improve the quality of life for all in our community. In a rural community, our nonprofits rely on United Way funding to support their empowering and life-changing programs. Given our proven record, nonprofits are able to leverage United Way funding as matching dollars for other grants, show community support for programming, and focus their resources on their mission rather than fundraising. Each agency provides hope for those they serve. Thank you to the employees at The City of Craig and Moffat County for kicking off our 2016 campaign as the Pacesetters! Watch for campaigning at your own place of employment, where organizations provide matching funds thereby doubling your donation. Otherwise, visit www.unitedwaymoffat.org/donate to make your donation right now. We need your help to continue to make Moffat County a thriving place for us all. Thank you for your generosity!